← In a Crisis? There’s an App for that. How to help after a crisis is always one of the first questions. 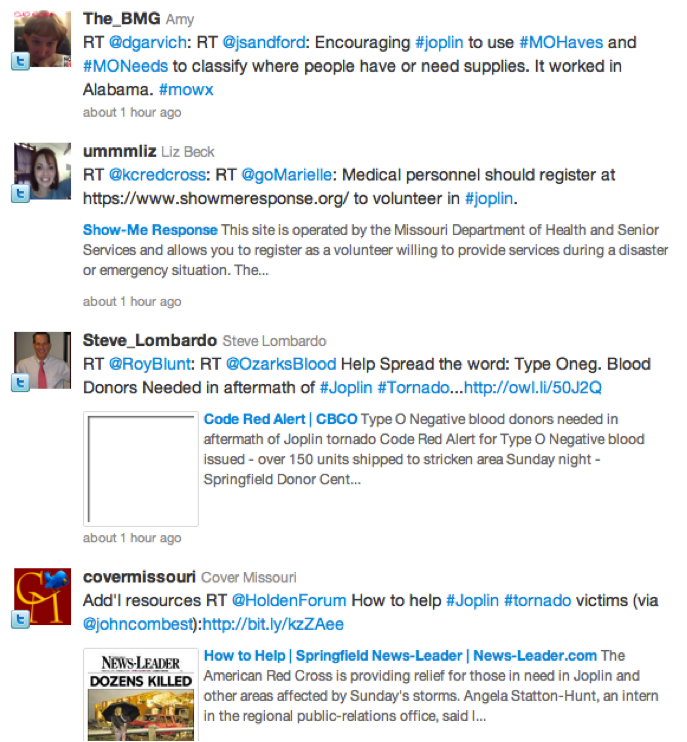 Here are some tweets I captured with the help of the app “keepstream” (thank you Jim Garrow for pointing out that tool). 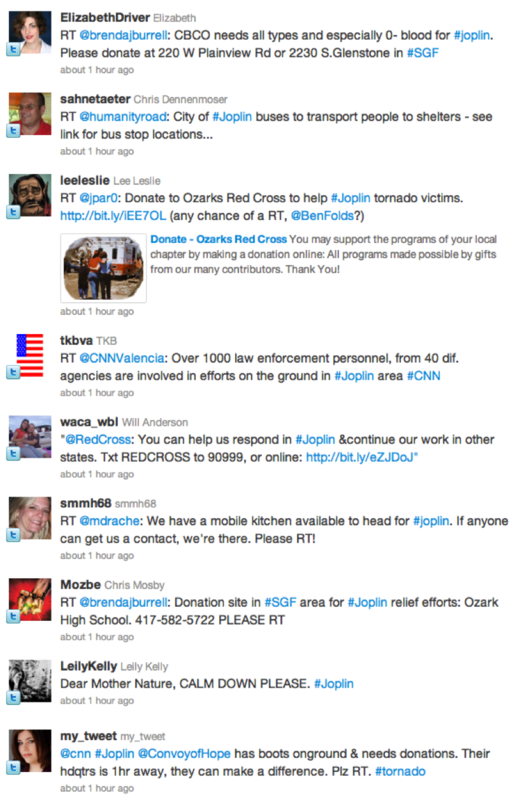 These tweets demonstrate how people using twitter can direct those impacted where to go to get help; and can also direct those who want to help where to go– either virtually or physically– to donate their time, expertise or material goods. It was noted by many that in the aftermath of the tornados in Alabama a couple of weeks ago these kinds of messages helped tremendously with not only getting the word out, but also in cutting down on the amount of email and phone calls that had to be made in order to direct people to the proper locations. The one thing that’s missing from this stream is local government agencies. I’m still looking to see how much they are using social media during this crisis. The hyper links are not active below (click keepstream for active hyperlinks), the purpose of this post is to demonstrate how quickly and easily information can be disseminated via social media. Our thoughts go out to all of those that were affected and to the families missing loved ones. This entry was posted in Social Media and Emergency Management, Uncategorized and tagged social media twitter emergencymanagement. Bookmark the permalink.